kandeej.com: The Hello Kitty Salon...yes it's true. Hello Kitty hit the scene in Japan in 1974 and made her way to the US in 1976...where I would end up falling in love with her as a little girl, and so did millions of others around the world. Now, I have a new reason why I'd love to go to Dubai. 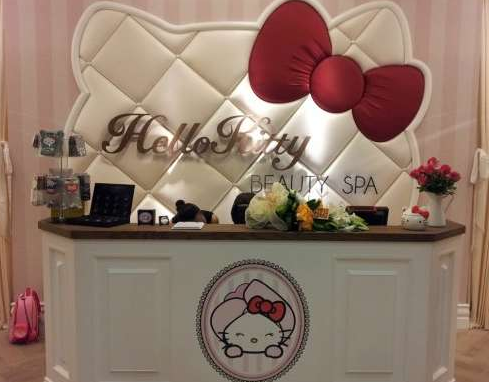 There is a HELLO KITTY BEAUTY SALON there...and I kinda would decorate my house after it! 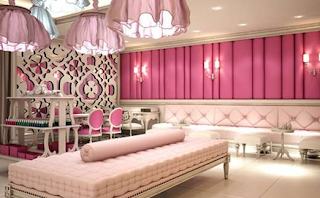 Just please look at the reception area...you can bet your eyeballs that I will be pinning this picture under "home decor inspiration". The striped walls and those white chairs...ohhhhh man! 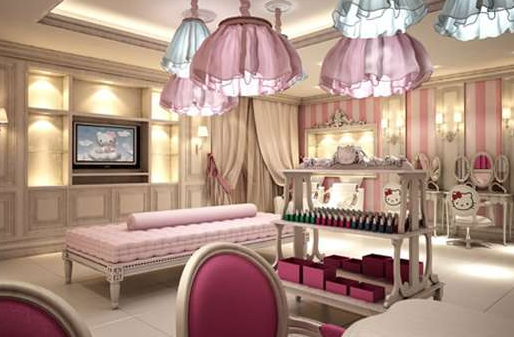 , or a "kitty-cure" for your nails. 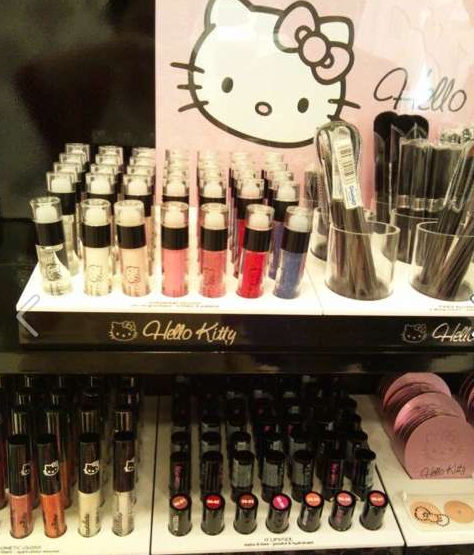 And what else would be sold but Hello Kitty makeup. You know, if I was a little girl (and I lived in Dubai) that I would ask my mom if we could go all the time...well actually, now I'd just take my little girls here all the time, well....if we ever went to Dubai! 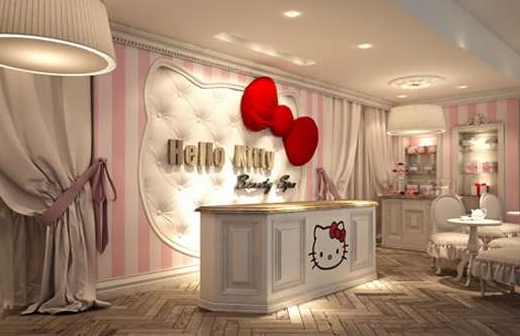 even if you don't like Hello Kitty, you've gotta admit, this is pretty cool...kinda, right?!? 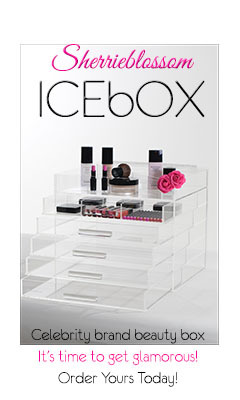 PS If you wanna see my latest video, CLICK this LINKY.